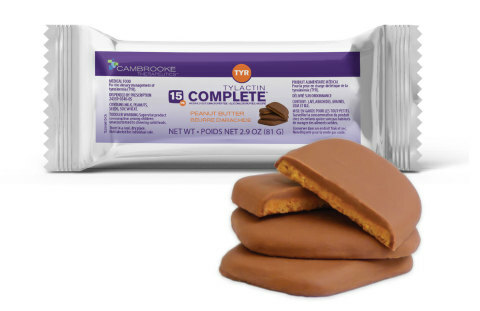 AYER, Mass.--(BUSINESS WIRE)--Cambrooke Therapeutics Inc., a leader in therapeutic nutrition for inborn errors of metabolism and ketogenic diet therapy, announces the launch of Tylactin™ COMPLETE Bars, a nutritionally complete medical food, available in a convenient portable format, for the dietary management of Tyrosinemia (TYR). "My son struggled to take all his formula every day," says Maria C., mother to a TYR child. "He does not want to finish it, and I have had to watch him carefully. This new Tylactin COMPLETE Bar is a joy for him, and I never have to worry about him finishing it. I am so thankful to Cambrooke for inventing such a wonderful product for my son." 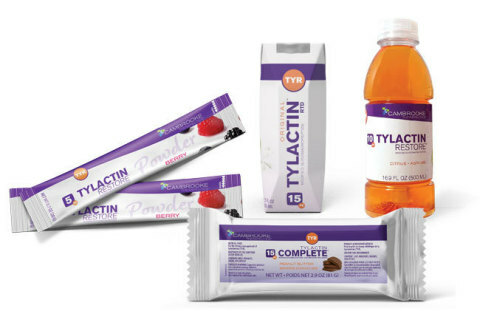 Cambrooke Therapeutics announces Tylactin™ COMPLETE Bars, a nutritionally complete medical food for the dietary management of Tyrosinemia (TYR).